The Carter Malone Group LLC (CMG) is a full service public relations, marketing, advertising and government relations firm, committed to providing creative, dynamic and credible communication strategies that enhance our clients’ businesses. It takes an exceptional staff to provide superior client service. 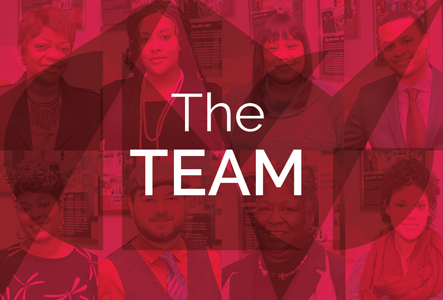 At The Carter Malone Group, our staff is dedicated to helping our clients’ businesses and build brand awareness. Behind our success is a solid team! The Carter Malone Group, LLC (CMG) was founded by Deidre Carter Malone in May 2003 after a successful career as a marketing executive at ALSAC/St. Jude Children’s Research Hospital. Our first client was the National Baptist Convention, Inc. in Nashville, TN. After 30 years in the industry, Malone shares her professional expertise with various industries. We represent major corporations, medium and small businesses, organizations and individuals in need of the services we provide. Today, we represent clients around the world and are a founding member of the Tennessee Public Relations Alliance with McNeely Pigott & Fox in Nashville, Moxley Carmichael in Knoxville, Q Strategies in Chattanooga and Hispanic Marketing Group in Nashville. According to the Memphis Business Journal’s Book of Lists, The Carter Malone Group, LLC is one of the largest public relations agency in Memphis, and the largest woman-owned PR agency in the Mid-South area. Here are a few awards earned by CMGPR.